Is Pinterest Working For Your Business? Have you been wondering how many times photos from your website or promotions have been “pinned” on Pinterest? Look no further! There’s a super easy way to find out just what has been pinned and how often. 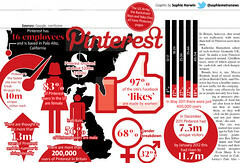 Simply type this into your browser—>http://www.pinterest.com/source/WEBSITENAME.COM Make sure to type your website name, with the .com attached but without the http://www. Then simply click enter and you’ll easily be able to see just how well you’ve been doing on Pinterest! This entry was posted in Blog and tagged Business, Pinterest, Social network, Twitter, Web Design and Development. Bookmark the permalink.